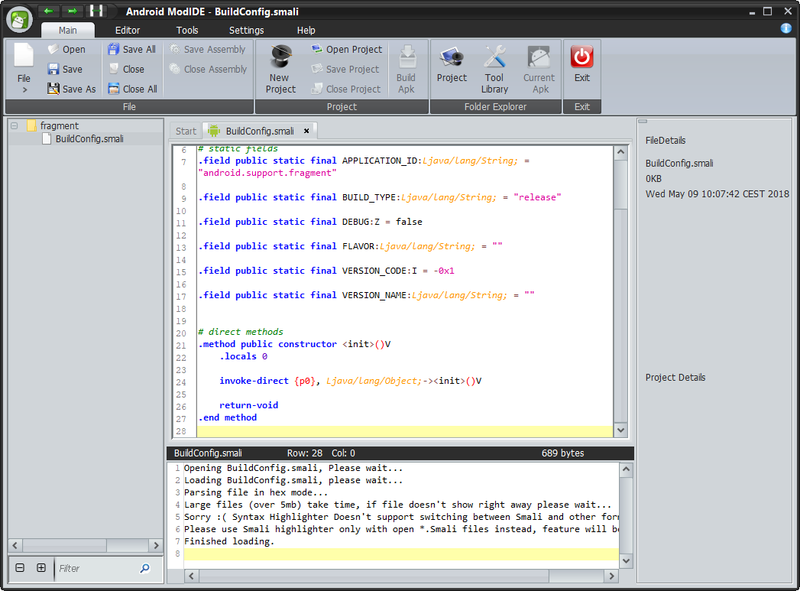 ModIDE is a Modding Integrated Development Environment (I know creative name I came up with, don't hate :p ). While initially I can really only describe it as a flashy looking GUI for apktool, its goals are MUCH loftier. Ultimately this will be an AIO tool that'll include a tool to decompile NET dlls, refactoring into C# readable code (think ilspy), modify smali code (complete now), interpret hex code into appropriate machine opcodes (can edit hex now, interpretation in future release), COFF/ELF reader/editor, and much more planned! All this and fully open source as well, this is finally the tool that will do all the function needed, and if not, can be built into it by anyone in the community, as well as being as future proof as you want it to be, many tools have fell into the abandonware pit as either they were too clunky to have enough interest to maintain, or great tools that have gone WAY behind the curve as phones kept advancing, they stood still.